Samsung Galaxy S8, the best choice and the android phone of 2017, Samsung Galaxy S8 Is Releasing in India on today (May 2, 2017). The Samsung Galaxy S8 is the company’s newest flagship smartphone after the big drama happened last year with its Galaxy Note 7. This is Samsung’s first big phone launch after surviving the disaster and issues on its battery. 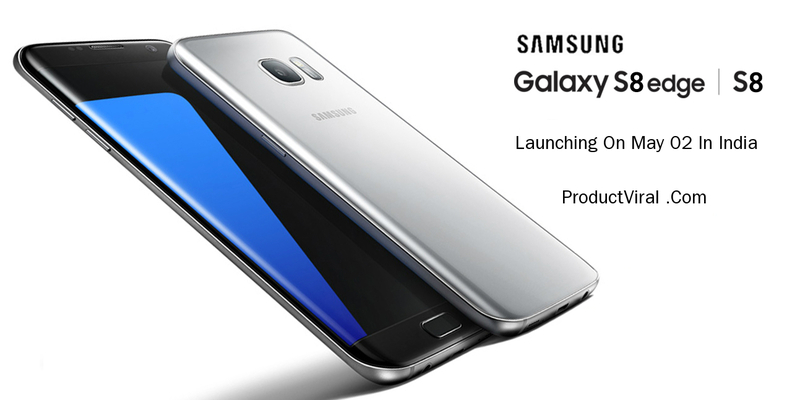 The South Korean based company continues to refine the software of their new flagship. With the help of Business Insider, here is a rundown of 5 things Samsung Galaxy S8 can do that any Apple iPhone can’t. The Galaxy S8 and other iPhone devices have both fingerprint scanners. However, Samsung believes that a smartphone is more secure if ti has an iris sensor. Aside from that, Galaxy S8 also has a heart rate sensor on the back and no iPhone have that. And individual needs to buy an Apple Watch or another accessory in order to measure the pulse rate using the iPhone. Galaxy S8 screen produces better colors, brighter display and more power-efficient compared to iPhone 7 or 7S. According to The Street, this is made possible because Samsung uses OLED while Apple still uses LCD for their iPhones. The Galaxy S8 has a 5.8-inch screen and 6.2-inch screen for the S8+, while the iPhone 7 has a 4.7-inch screen and 5.5-inch screen for the 7 Plus. This means that the Android device has more screen so it is better to use when watching a movie, playing HD games, and other things that need a bigger screen. The Galaxy S8 can be charged using a wireless charging pad. The smartphone should just be placed correctly on the circle pad and will automatically charge the battery without any cord attached to it. There’s also a fast charging technique for Galaxy S8, which charges the smartphone faster than normal. These two techniques cannot be seen on any iPhone, even the latest device. The Samsung Galaxy S8 comes with its own virtual reality (VR) software. The application is powered by Facebook’s very own Oculus. Apple’s iPhone can work with Google Cardboard and some VR headsets. However, it doesn’t support regular VRs and content is notably limited.